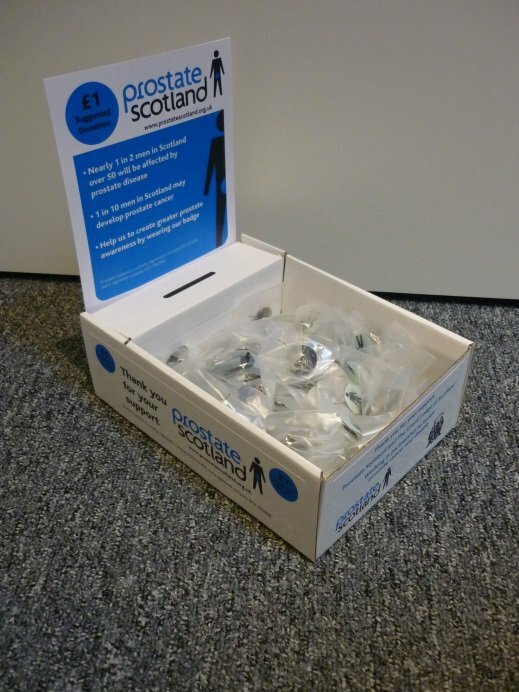 Prostate Scotland is pleased to provide lodges with a pin badge collection box filled with branded pin badges. The box has been designed with a special sticker displaying The Grand Lodge of Scotland logo. Badges and boxes can be ordered online at https://www.prostatescotland.org.uk/support-prostate-scotland/register-for-pin-badge-collection-box and will be dispatched by post. The suggested donation per badge is £1 which is shown on the box stickers. A minimum of 50 badges can be ordered, and one box can fit up to 150 badges. The boxes are provided flatpacked for easy delivery and assembly.